Hello and welcome to Our Creative Corner!! 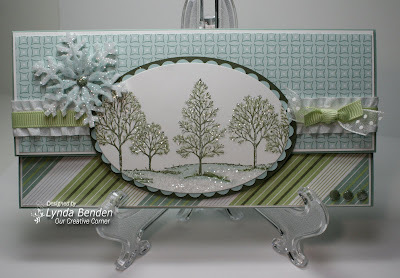 Thanks to all who played in last week's sketch challenge, your samples were beautiful!! 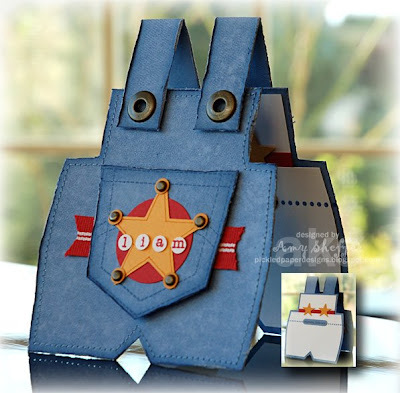 Before we start with this week's challenge, we need to announce the random winner of last week's sketch challenge for a $20 gift certificate to Jacksonbelle Embellishments. 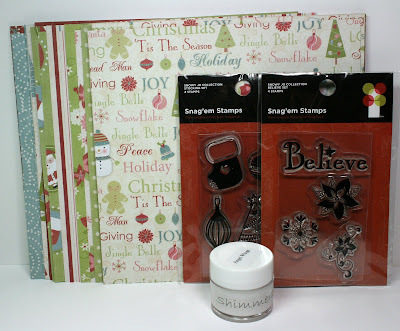 The winner is ~ Shannon Erskine ~ AKA: e3stamper!!! Congratulations Shannon!!! Please email us and we will get your goodies out to you!!! Thank you to all who play along, we really appreciate it!! On with the challenge... Remember when you were little and your Mom would explain that you didn't need to buy her a gift and that she would rather you make it by hand???? 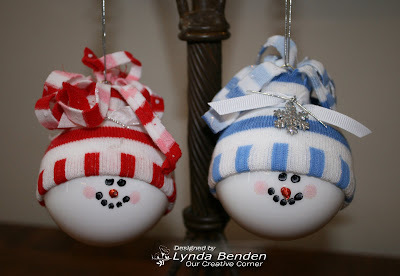 Let's go with that idea for the Holidays this year and make something!!! 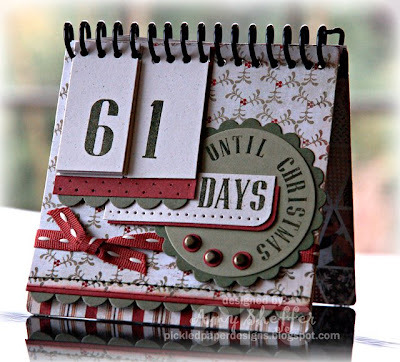 We know you ALL have supplies to make a Holiday gift for someone! Let's put those neglected supplies to use! 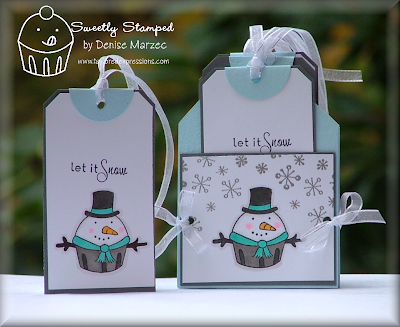 How about a monogrammed card set, a decorated bag, a gift tag or maybe you would rather make a decoration for your own home!!! There are no OCC police so really, anything goes!!! Thanks so much for stopping by! We can't wait to see this week's creations! Hello OCC Friends! 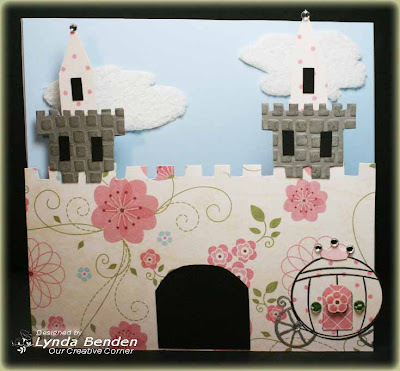 It's time for another Our Creative Corner mid-week challenge! 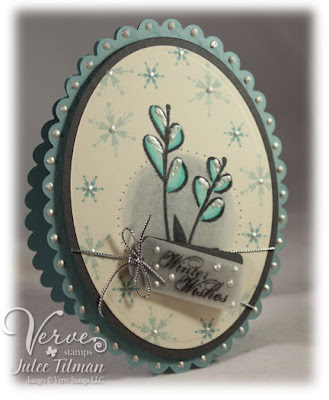 This challenge is hosted by Julee Tilman, who wanted us to get a little inky with our Verve stamps. 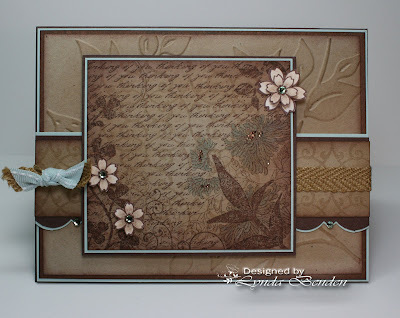 The challenge is to give your Verve projects a vintage glow with a technique called Vintage Values. To play along, upload your creation to your blog or gallery, then leave us a comment linking to your project so we can check it out. If you upload to SCS, remember to use keyword: OCCC. Vintage Values How-To: Requires 2-3 shades of the same color of ink and a craft sponge. 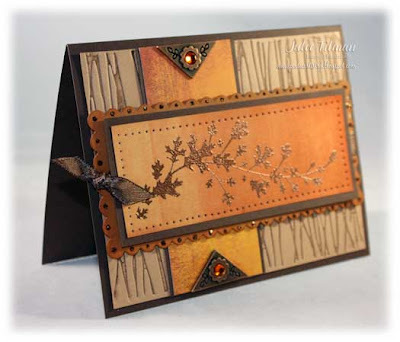 Starting with your lightest shade of ink, use a craft sponge to sweep ink from the outer edges of your cardstock inward as far as you want your glow to touch. 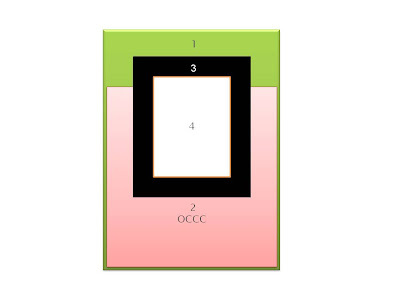 Repeat with your next shade of ink, but only sweep about 2/3 as far in (so some of the lighter color still shows in the inner sections). Repeat with the darkest shade of ink (if desired), sweeping with short strokes, only about 1/3 of the way in. What would a Verve challenge be without a Verve prize? 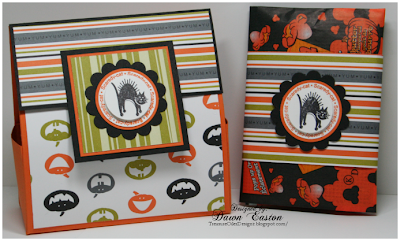 On Friday, October 31 at noon EST, we'll be choosing one random participant to receive their choice of any Verve Stamps set. 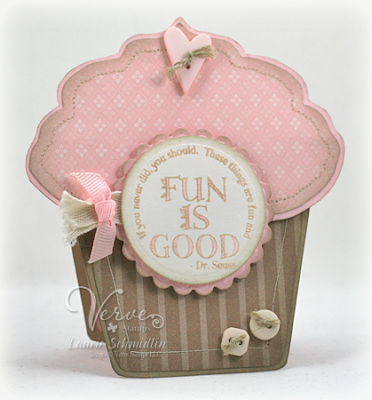 If you don't have Verve stamps, feel free to play along with stamps from any company. We never met a stamp we didn't love! 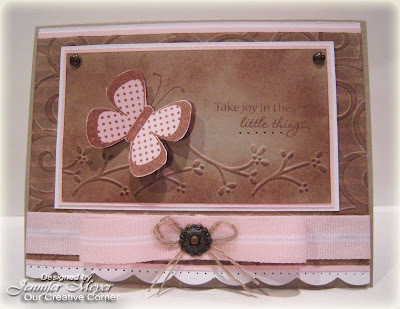 OCC Sketch Challenge & Prize!!! Welcome to Our Creative Corner! 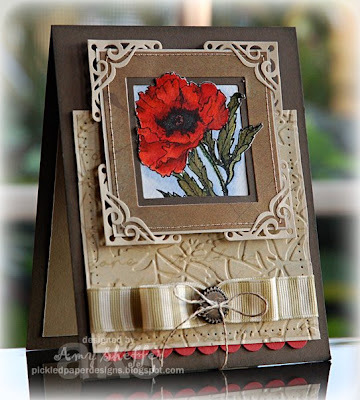 Thanks to all who played in last week's "Anything but Square" challenge - all of you inspired us with your gorgeous cards and projects!! 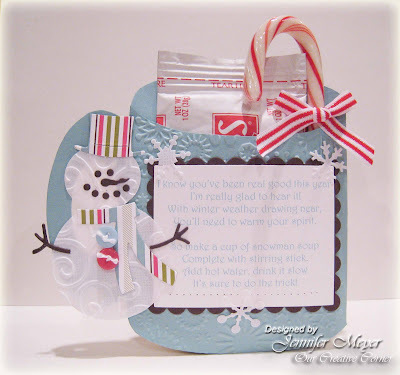 Before we get to this week's challenge, we want to congratulate Jami AKA ~ SgtStamper, winner of the test tubes and card!! Jami please, email us your full name and address so we can get your goodies out to you! Woohoo!! 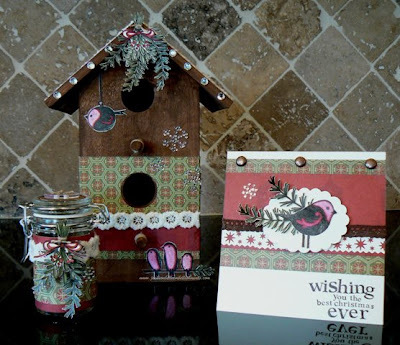 Our Creative Corner would like to welcome some special guest designer's from the Jacksonbelle Design Team for this week's challenge -Broni Holcombe, Dee Jackson, Rachel Baird, Lila Holgate, Kisa Peters, and Maren Benedict. 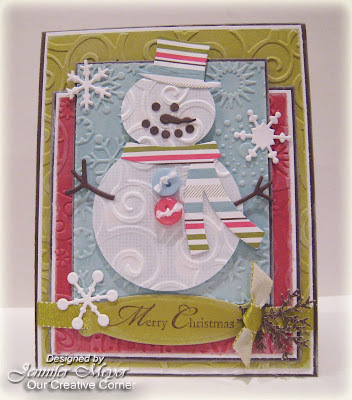 Jacksonbelle Embellishments is also sponsoring the OCC with a $20 gift certificate to one lucky winner!! 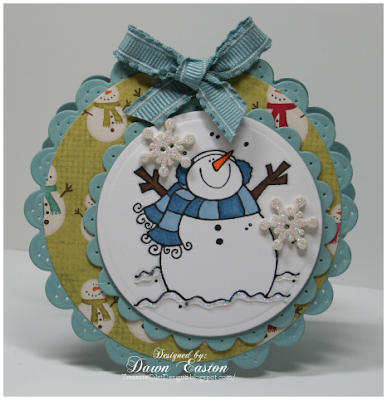 To play along, upload your creation to your blog or gallery, then leave us a comment linking to your card so we can check it out. To be included in the random prize drawing, have your project linked here by noon on Friday, October 24th. Feel free to play along whenever you're able. If you upload to SCS, use keyword: OCCC. Thanks so much for stopping by, have a wonderful weekend!! 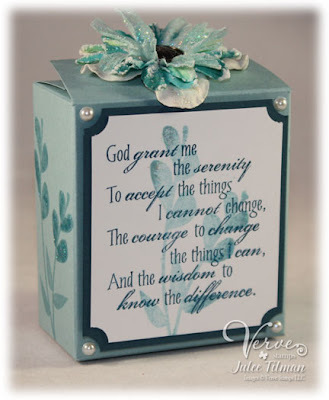 This challenge is anything but SQUARE!!!! 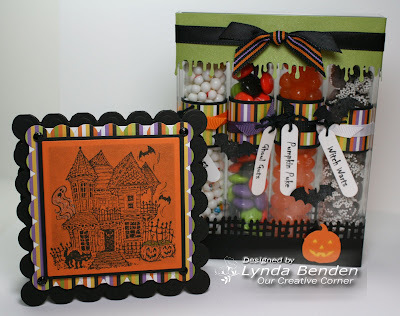 Well it's Saturday and you know what that means ~ OCC time... We have another fun challenge from our October host Lynda Benden. 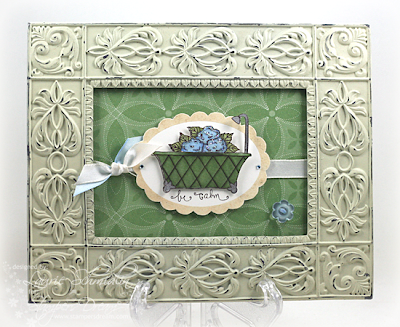 This week's challenge is anything but square. 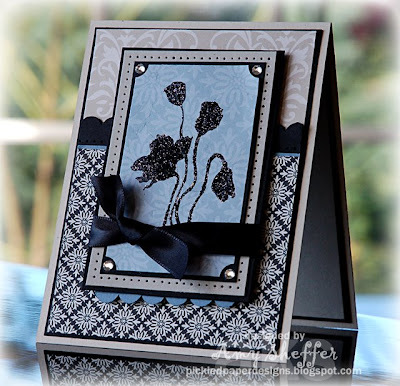 Just create a card that is ANY shape EXCEPT Square or Rectangle! Think you can do it... if you do, there is something in it for you! We have some homemade spooky goodies for one lucky winner. 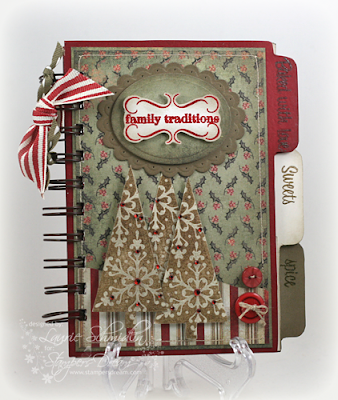 To be entered into the random prize drawing, post a link to your Blog/Gallery with this week's challenge. If you upload to Splitcoast, please include "OCCC" in the keywords. All cards need to be linked here by noon on Friday, October 17th! We will post the winner the following Saturday, October 18th! 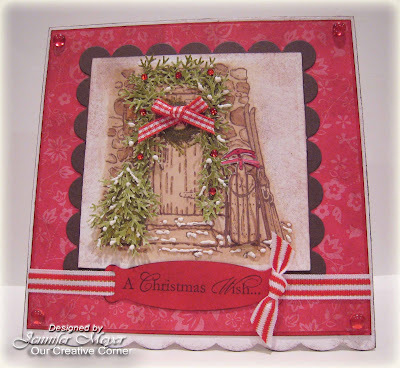 Hello OCC friends, and welcome to another challenge! 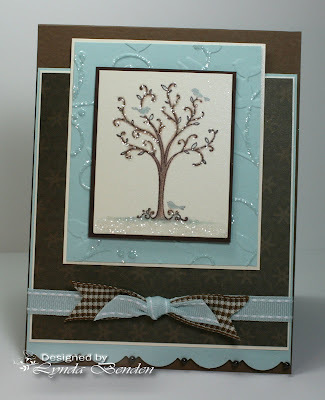 Thanks to all who participated in last week's stitching challenge. 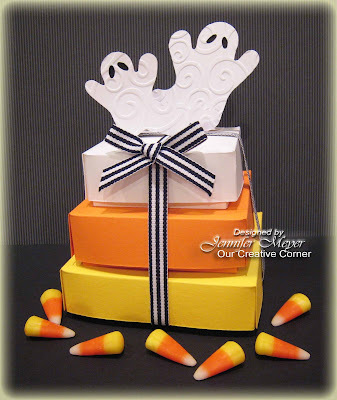 The winner of the Stamper's Dream Halloween-theme giveaway is Janette/blessingsX3. Email us to claim your prize! Thanks Michelle for sponsoring our challenge! Before we announce the winner for the giveaway we would like to thank all who played along with our "Case the OCC" challenge last week. 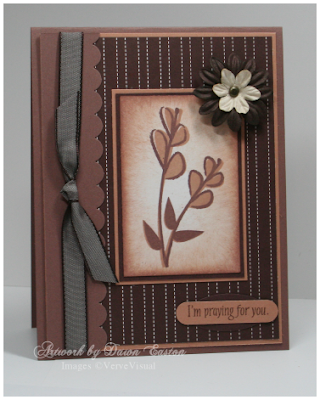 All of your cards have been such an inspiration to us, keep them coming!! Please remember there is no time limit on our challenges so please feel free to participate whenever you are able. 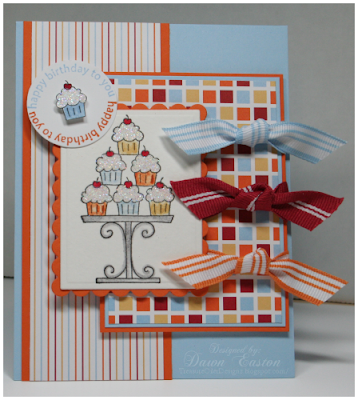 Our Creative Corner would like to congratulate Kristie Morrison, Please contact us at ourcreativecorner6@sbcglobal.net so we can get your winnings to you!